‘He shots, he scores! Goal!! !’ Words that will send any football fan into a frenzy of excitement and lead to either tears of joy or tears of despair. Such is the power of football that it can bring a man (or woman) to his (or her) knees and reduce him (or her!) to a blubbering mess; regardless of age, race or religion. It’s been this way for as long as anyone can remember. There are no fans quite like football fans and the game itself has conquered the world. But just when you thought it couldn’t get any bigger than it already is, the casino industry gets in on the action and the world of football is propelled to even dizzier heights of popularity. With online casinos came online slot games. The selection of online casino games for Canada, for example, feature hundreds and hundreds of slot games and within the slot game category are a large number of football-themed games. These games have served to both entertain existing football fans while they spin the reels and to introduce slot fans to the world of football (should they have been hiding under a rock their whole lives and therefore unaware of the awesomeness of the game). Games such as Football Carnival, Bicicleta and Football: Champions Cup have all made a huge impact on the gaming world. In the lead up to the 2018 World Cup, thousands of football fans were playing them in order to whet their appetites for the excitement to come. Slots are the perfect way to pass the time between games and they serve to entertain fans during the long dark days of the off-season. Online casinos have also introduced online sportsbooks, which means football fans can now place bets on a massive range of matches, including, but not limited to; Premier League, UEFA Champions League, Canadian Soccer League, American Soccer League and World Cup matches. Fans can now take their enjoyment of the game to the next level by becoming invested in the outcome of not just their own home teams but of any team in the world. Being able to bet on teams from other countries means that fans now take a greater interest in the wider world of football. Football players who were perhaps relatively unknown are now finding a whole new fanbase due to the research football fans are now undertaking prior to placing a bet. With an online sportsbook, bets can be placed in a multitude of ways and on a multitude of outcomes. Live betting has created even greater excitement amongst fans because they can now place bets while a match is in-play. Sponsorship deals between football clubs and casinos has also had an impact on the world of football by creating exposure for both sides. Clubs attract new fans and casinos attract new customers, so it’s a win-win. Football players have also become brand ambassadors for some of the biggest giants within the online casino industry and this raises their public profile and exposes them to new fans, which in turn leads new fans back to the game. The more football fans there are, the more the games and tournaments will attract media attention, which in turn draws ever more fans to the game. 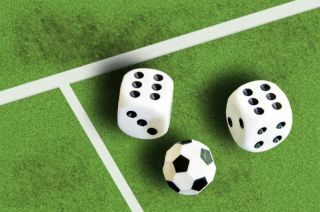 There’s no doubt about it, online casinos and football are a match made in heaven!